Paper making industry usually use waste paper to produce kraft paper and corrugated paper, and one paper machine can manufacture kraft paper, corrugated paper, fluting paper, testliner paper. 3200mm three layer wire paper machine we supplied used for 80-300g/㎡ corrugated and kraft paper making. Generally high quality kraft paper making use two types raw material: wood pulp and waste paper, wood pulp as top layer pulp, waste paper long and medium fiber as cone layer pulp, and short fiber used as bottom layer pulp, this can produce high strength kraft paper, has fine performance. 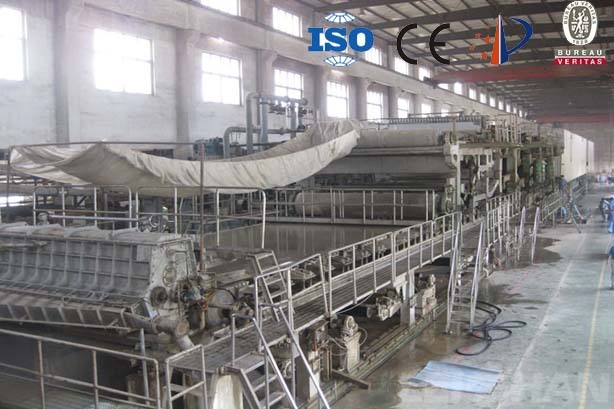 And corrugated paper making use waste paper pulp, has more simple process. We manufacture complete paper making machine from stock preparation line to paper machine, have different types paper machine to meet the paper making needs, if you have any need or questions, feel free to consult us for more details.